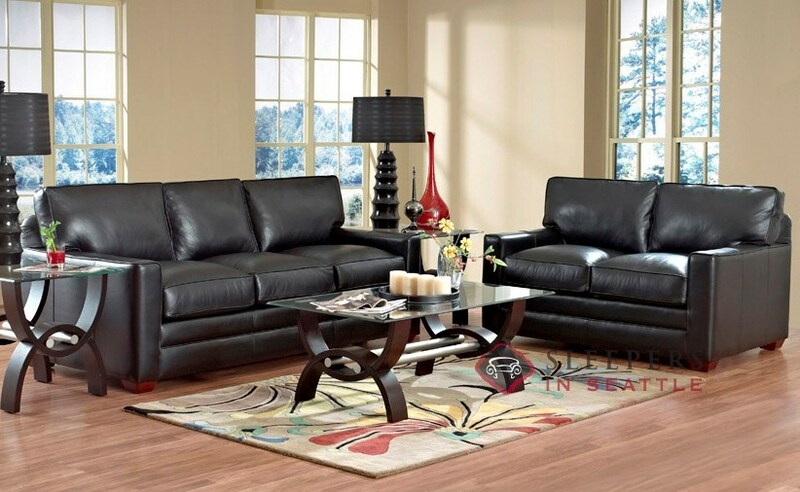 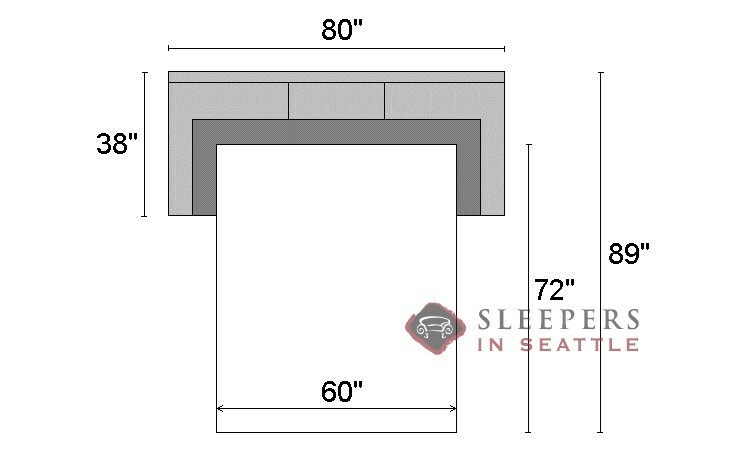 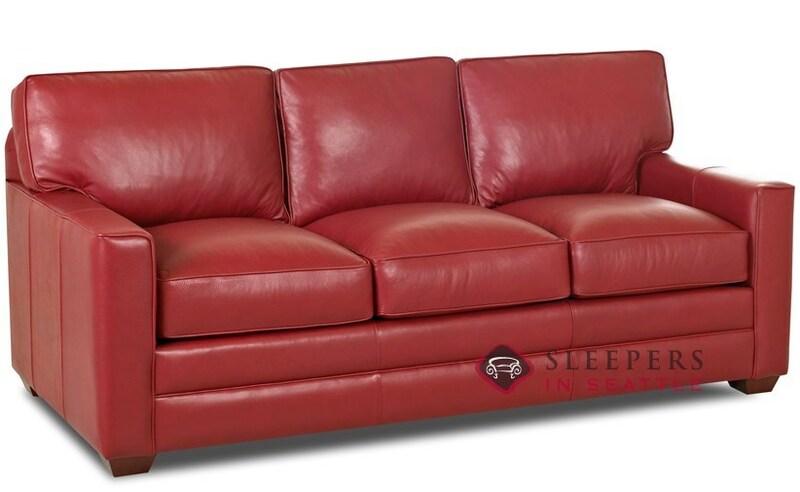 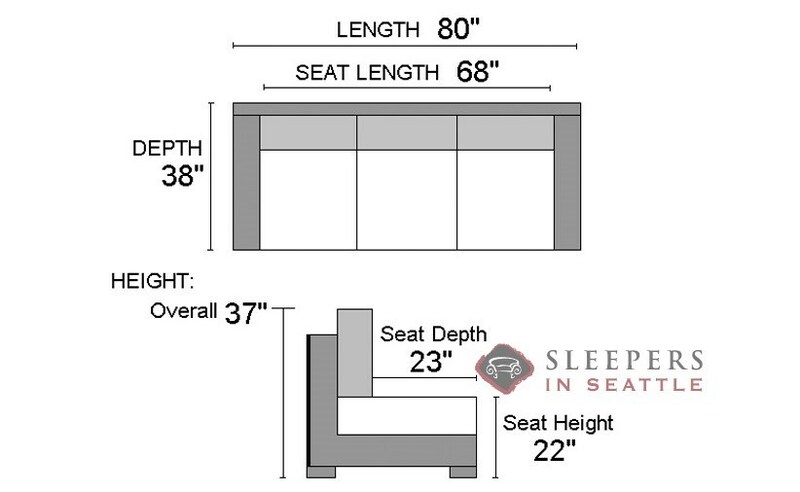 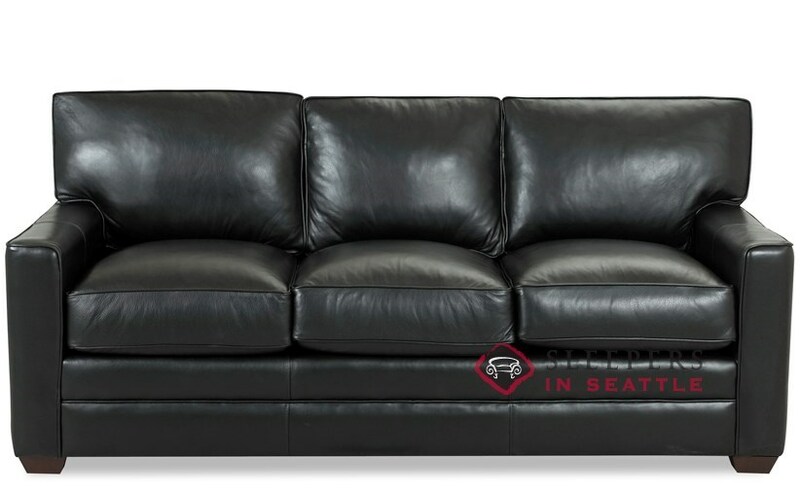 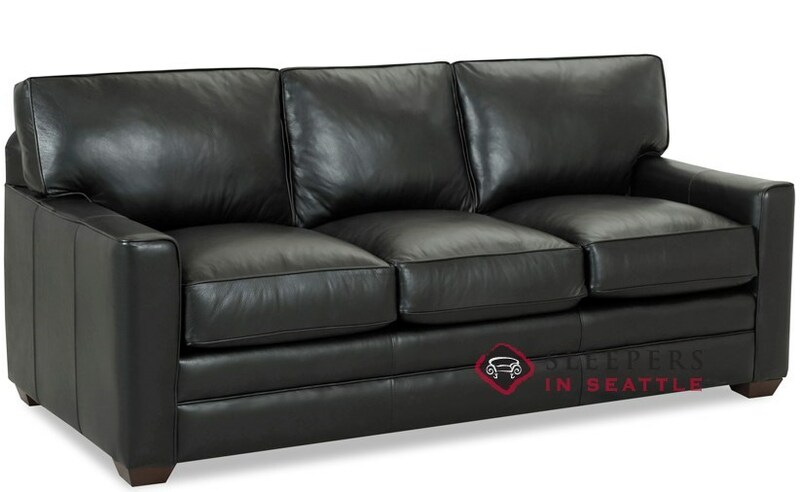 The Palo Alto Queen Leather Sleeper by Savvy offers true grace with impeccable tailoring and boxed cushions. 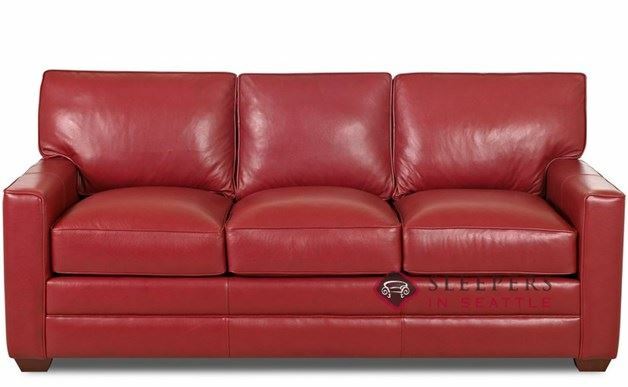 Offered with t-style seat cushions to match the back's outline. Welted detail borders the piece; available in a vast selection of fabric upholsteries and top-grain leathers.